This one word sums up our Church building's One Year Anniversary that we celebrated this past weekend. There were many factors that showed us the Lords hand working in order for this day to turn out the way it did. 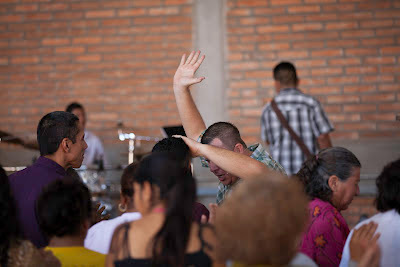 One year ago on February 27, we inaugurated the new church facilities, dedicating it to the Lord. We wanted to celebrate this event and Honor God for his provision and protection over this ministry. Our church is growing and taking ownership as each member participated in providing food, donations, and serving others. It was a well-oiled machine. 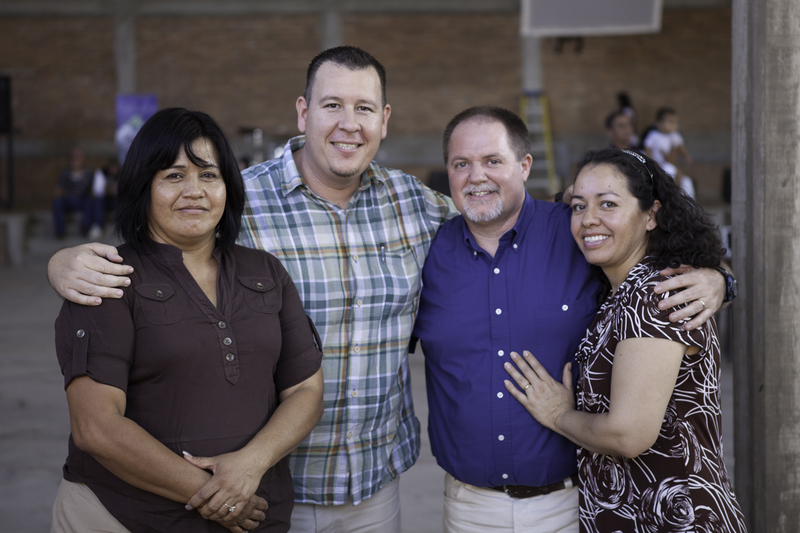 We were excited to have Pastors Noé and Martha from Mazatlan with us to share the event. While they were here, as we were taking them to tacos the first night for dinner, we ended up praying for the sick as we unexpectedly had come across them. As we visited about how the Lord directed them to come, Martha told us that she had a dream they came to preach just before the invitation. Also, from the moment of the invitation, the Lord had given Noe a message, but he struggled with it thinking that it was inappropriate. As he continued to not understand why this message, he never had peace about anything else. When I sent him the vision of the church, he said it was confirmation. It fit right inside what he felt the Lord speaking to him. His message was about God's Opportune Time; a message that challenged us to step up and step out in our spiritual growth as we take ownership of what has been established already. The message was sent to us in perfect timing! The message and prayer time at the end went a little longer than usual, but no one really noticed; everything was perfect. As I was playing my guitar during the ministry time, I couldn't help but think about God's goodness. He is such a wonderful God and plans things in perfect timing. We couldn't have planned a better Anniversary party for the church. It was an incredible blessing from the Lord! 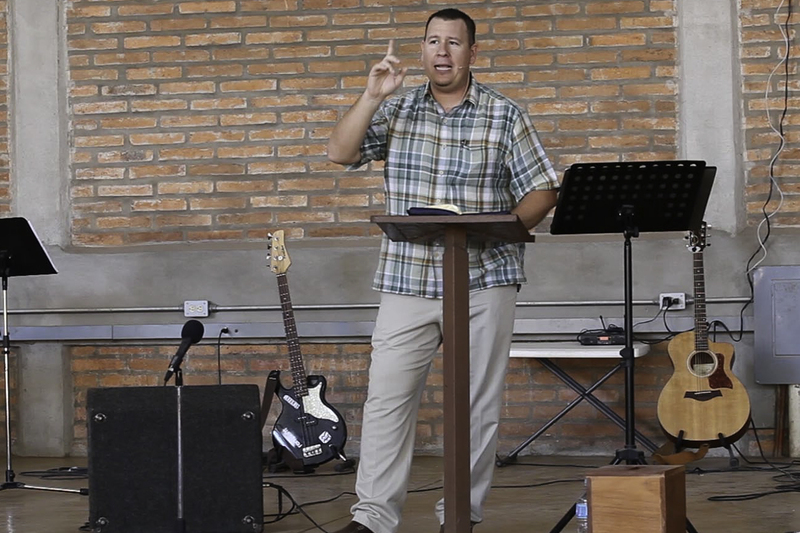 After the service, a few church members shared testimonies and some songs. Then, we all had lunch together. Church members preparing to serve the "birria." 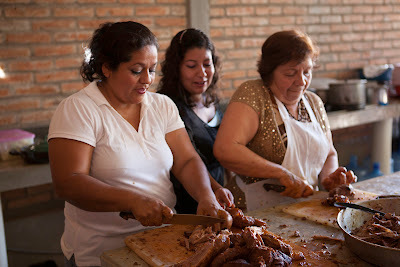 (The lady on the right is Geña's mother). In 1988, I went on my first missions trip to Mexico with our youth group. I was 16 years old and the only male on our small team not counting our Youth Pastor, Ron McClung. It was an unforgettable, life-changing trip for me. It was during that trip that I met Martha and some of her brothers and sisters as we worked along side her church. Her and her youngest siblings were all about my age and we kept in contact for a long time. I remember seeing the fervent power of God and dedication to the Lord in their lives and I wanted to do the same. It was also during that trip that God called me to missions. A few years later I met Noe and we have been good friends ever since.